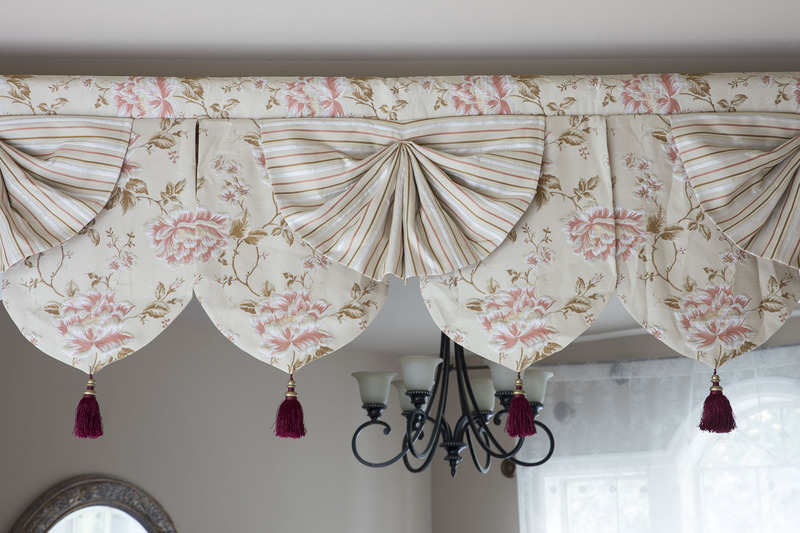 New Style! 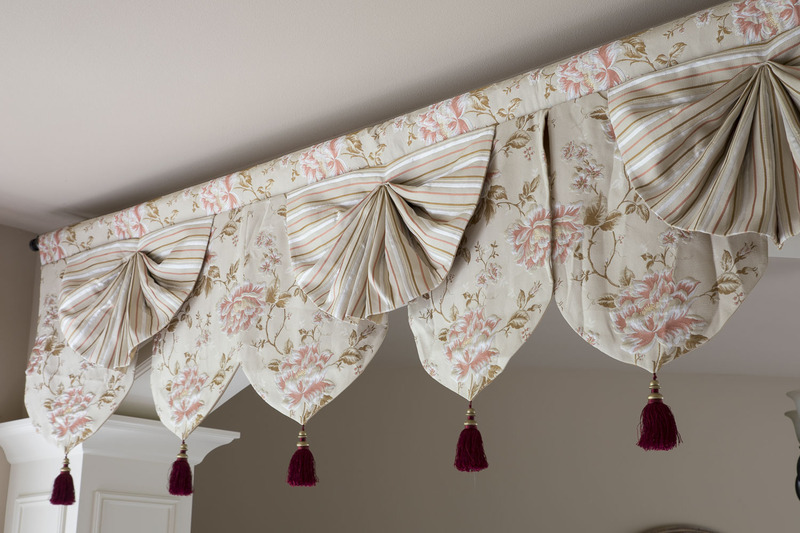 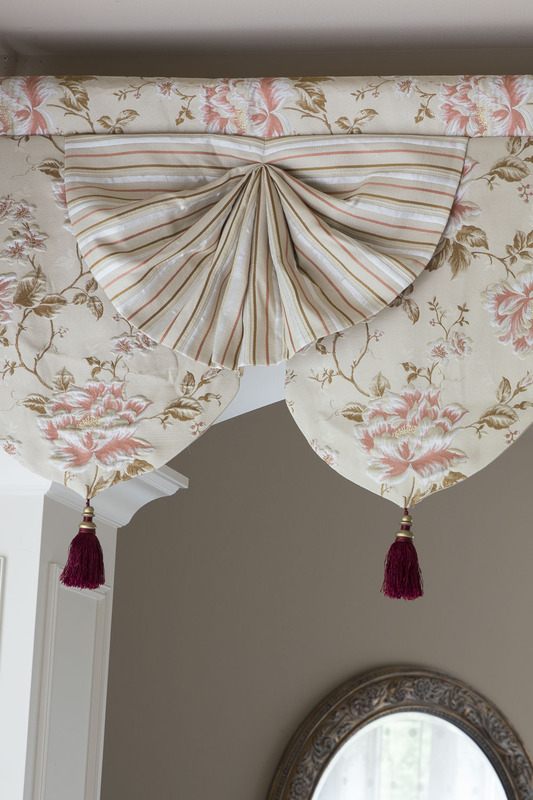 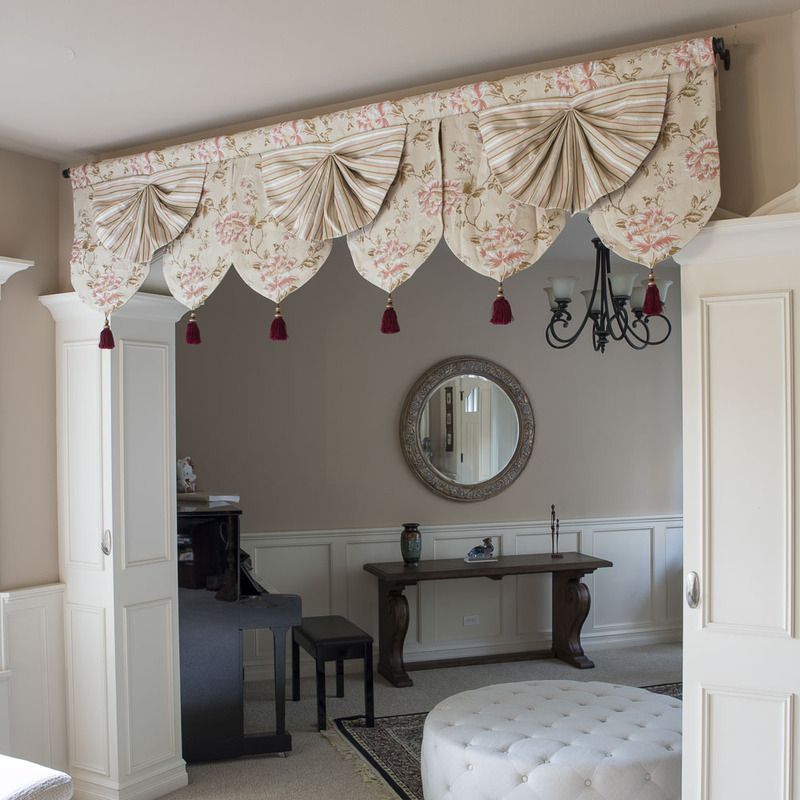 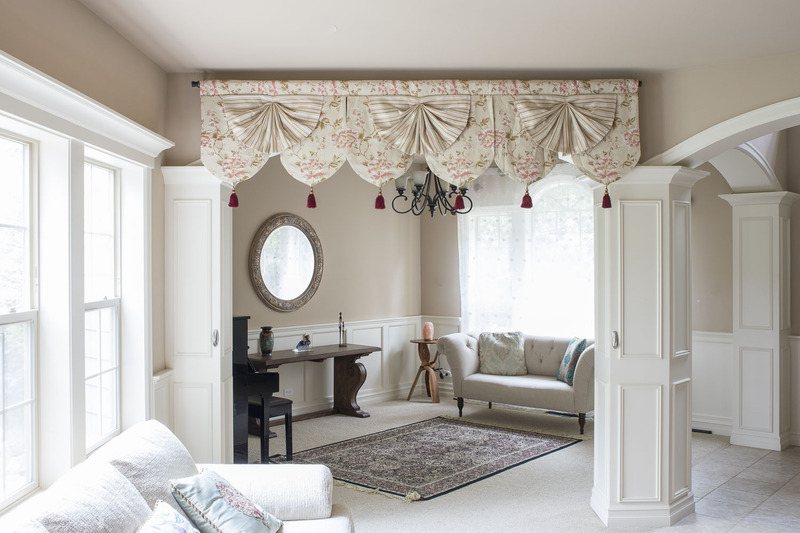 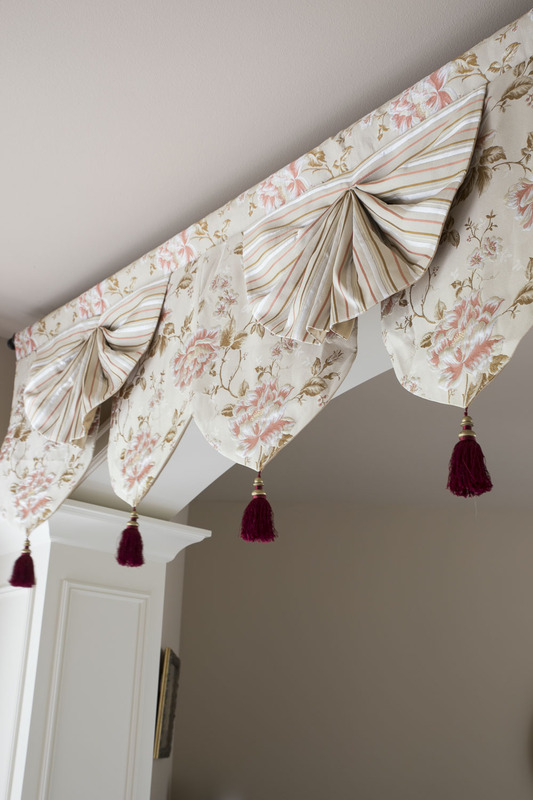 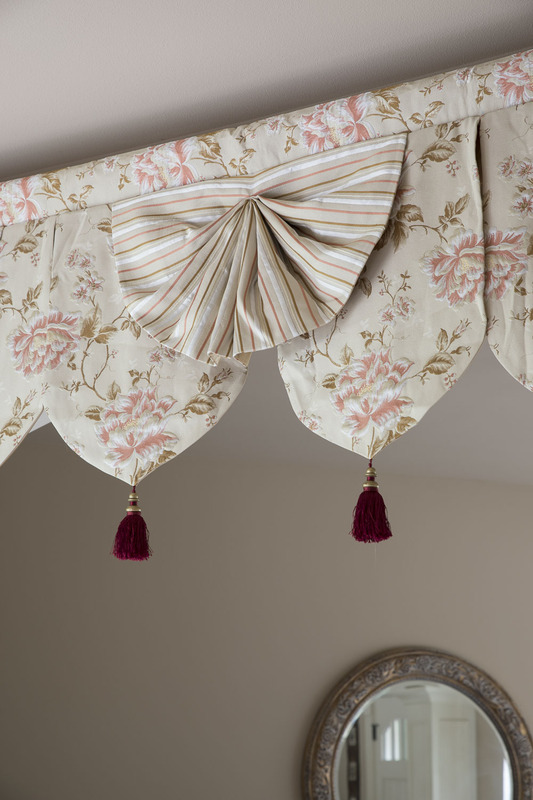 Fans and pelmets are combined together to create this elegant window treatment. 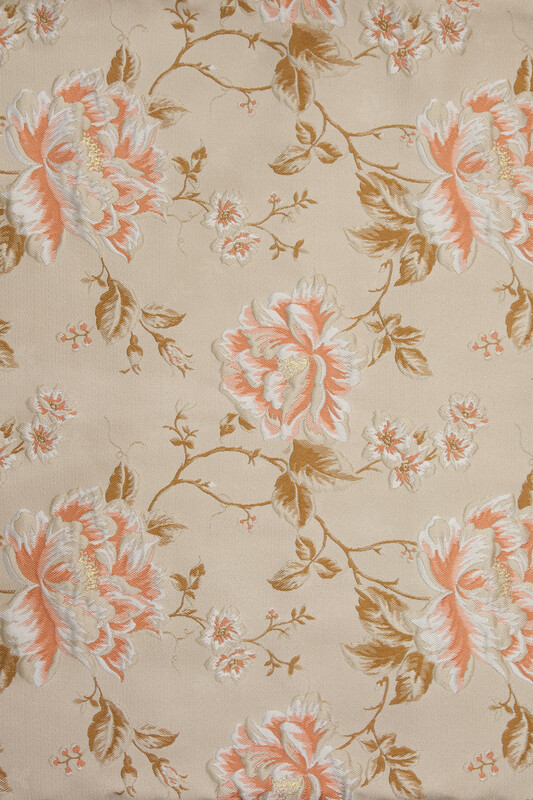 The pink peony patterns on ivory cotton blend is simply too fabulous to miss.